ROME - A Palestinian man has been arrested in Macomer, a town in Sardinia, on suspicion of planning to carry out a chemical attack on army barracks. According to reports, Alaji Aminun had been intending to contaminate drinking water with rat poison. 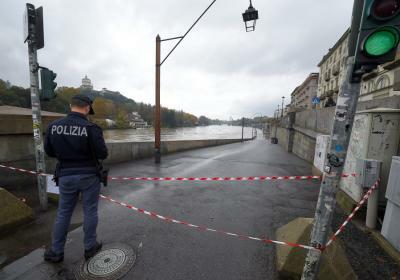 The 38-year-old man, suspected to have ties with Islamic State, had left his house and entered his van when he was suddenly stopped by Italian State Police. Internal sources allegedly informed investigators of Aminun's acquisition of large amounts of material, usually used for wrapping chemical bombs that contaminate groundwater aquifers, fuel tanks and aqueducts. His behaviour had been monitored for some time prior to his arrest. Investigators have concluded that Aminun was intending to target army barracks because an important body of the Sassari Brigade is based in Macomer. Authorities are currently searching his house, first and foremost to work out whether he was working alone, or on behalf of a larger terrorist organisation. It is highly suspected that he is a “lone wolf” working for ISIS. His cousin was recently arrested on suspicion of attempting to contaminate a Libyan army water tank. Wednesday morning’s operation was conducted by the Italian State Police, alongside Italian ‘General Investigations and Special Operations Division’ teams. Aminum was taken to the Badd'e Carros prison in Nuoro, Sardinia, upon his arrest. According to La Stampa, Aminum is a Palestinian refugee from Lebanon who has lived for some years with a Moroccan citizen. Aaccording to reports, she was completely unaware of his plans to carry out a terrorist attack.